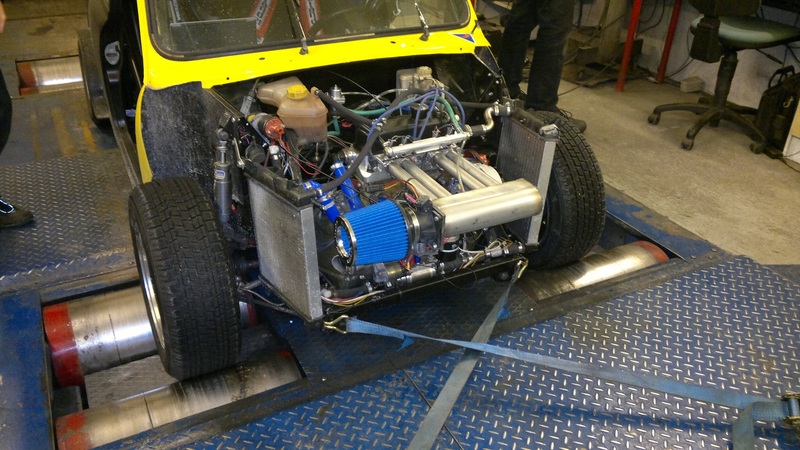 We finally had everything ready and took the car/head to the dyno today(4.4.2013). After an interesting drive on public roads we arrived and installed some "jumbo" sized wheels on it so that it wouldn't bottom out on the dyno. A few pulls later and with some small ignition adjustments we ended up with a maximum power of 75.5kW or about 103hp. This was a bit lower than our target, but based on the power curve and our calculations it seems like something about the intake isn't working properly. The areas where the intake should be ramming seem to be completely missing. The exhaust does seem to be ramming nicely though. Something about the combination of 1.5:1 rockers, a 320deg camshaft and our intake manifold isn't working correctly. We will investigate the intake issue and hopefully find and fix the problem. On a positive note, there were no real issues with the head. It held together nicely and the cooling system and everything seemed to be working like it should. 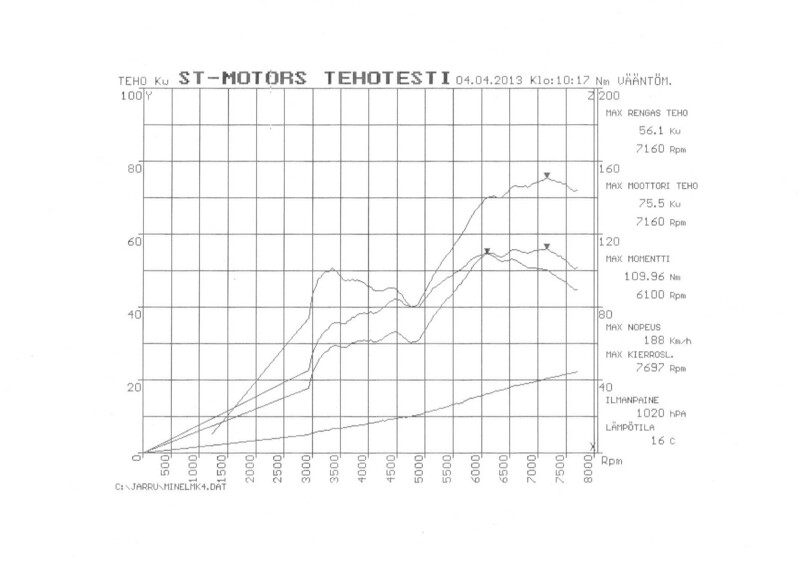 Below is a picture of the car on the dyno and the power curve.